Graduates are required to apply for graduation prior to their Commencement. Students who have applied for graduation and have completed all degree requirements during the summer or fall semesters are eligible to participate in the fall Commencement ceremonies. Students who have applied for graduation and have completed all degree requirements during the spring semester are eligible to participate in the spring Commencement ceremonies. Undergraduate students who expect to meet the graduation requirements with the completion of one course of up to four hours during the summer term immediately following the spring Commencement may participate in the ceremony. Contact the Office of the Registrar at 910.962.3125 if you have questions about your eligibility. Everything that a student needs to get ready for Commencement will be available at the Seahawk Salute Celebration! If you are not able to pick-up your regalia at Seahawk Salute, caps & gowns can be picked up from the Bookstore any time (during normal bookstore business hours) following Seahawk Salute until 2 days before the ceremony. You will also be able to pick-up your cap and gown in Hanover Gym one hour prior to the start of your ceremony if you are unable to go to the UNCW Bookstore. Your UNCW One Card will be required to pick up regalia. 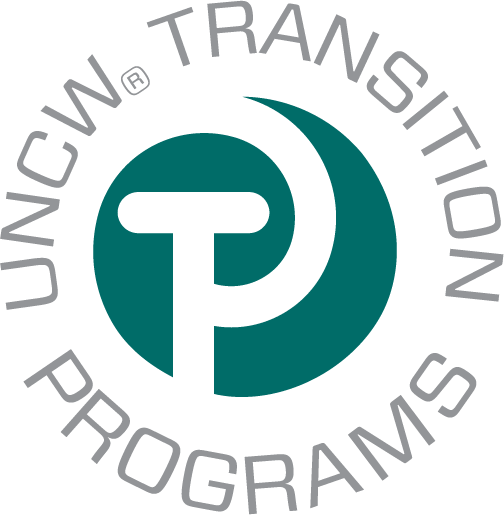 If you do not have a One Card, or need a replacement, contact the UNCW One Card office. There is no cost for regalia, unless you need a replacement or are a distance education/extension student. *** Distance Education and Extension Students, review your regalia purchasing information. Doctoral Students must contact the Bookstore to make arrangements for rental regalia. Email SM282@bncollege.com. You will be required to wear the appropriate regalia during the ceremony. The appropriate attire under your regalia is business casual or Sunday's best. Jeans, t-shirts, flip flops, etc are not appropriate attire for commencement. Bring your cap, gown, hood (Master's students only), and your name card. If you have not picked up your regalia or name card prior to the day of your ceremony, all items will be available for pick up in Hanover Gym one hour before your ceremony. Any items you bring with you to Hanover Gym will remain with you during the entire ceremony. If you are not able to place it under a chair or it is not a necessity, leave it in your car or with your family and friends. Do not bring air horns, loud noise makers, beach balls, confetti, etc. to the ceremony. Do not deface your cap or gown with printed signs or messages. Graduates should arrive to Hanover Gym one hour prior to the start of their Commencement ceremony. Doors will open for family members and guests to enter Trask Coliseum one hour prior to the start of the Commencement ceremony. Undergraduate and graduate diplomas are ordered by the Office of the Registrar within eight weeks of Commencement. Diplomas are mailed to the address the graduate provided on their graduation application. If the address needs to be updated, the graduate must notify graduation@uncw.edu to have their address updated. Updating the address in SeaNet will not change the diploma mailing address. Starting with Summer 2018 graduates, the University of North Carolina at Wilmington is partnering with our vendor Parchment to provide a new service for graduates, digital diplomas. A Digital Diploma is an official signed and certified PDF of your diploma, secured with a Blue Ribbon Security Certificate. The digital diploma is issued to the graduates personal email address. Digital diplomas will not be issued to UNCW email addresses. Digital diplomas are only issued to graduates personal email address so that the diploma is available to them in perpetuity. UNCW email addresses expire after graduating from the University. Graduates will not receive their transcripts or diploma if there is a balance on their student account. Students should review their E-bill account before graduation to ensure you will receive your diploma or transcripts. Contact Student Accounts at 910.962.4281 with questions. A balance on your student account will not affect your participation in graduation. Perkins Loan students please contact Constance Evans at 910.962.7419 to complete your exit interview. Once the account is settled, student’s should send an email notifying the graduation specialist at graduation@uncw.edu so that their diploma can be ordered. Undergraduate students who earn a minimum of a 3.50 GPA on all course work attempted, including transfer courses, may qualify to receive a degree with distinction. Graduate students are not eligible for distinctions. Distinction information for the program is based on your average at the end of semester previous to your graduation. Final distinction will be determined once all grades are submitted for the term and will be printed on the official diploma. Distinction Cords are distributed by the Office of the Registrar at Seahawk Salute. After Seahawk Salute, distinction cords are available for pick up at the Office of the Registrar (James Hall) or in Hanover Gym prior to your ceremony. The Office of the Registrar notifies students via email before Seahawk Salute if they qualify for a distinction cord. Distinction cords are only available for undergraduate students. Graduate students are not eligible for a distinction. For information concerning distinction qualifications, please contact the Office of the Registrar at 910.962.3125. Students who successfully completed the Honors Program in their major will graduate "With Honors In" the discipline in which their special work was undertaken. For information concerning distinction qualifications, please contact the Office of the Registrar at 910.962.3125. Personalized announcements can be purchased at Seahawk Salute or online by visiting Balfour's UNCW. For more information about personalized announcements, contact Balfour at 877.225.3687. Professional photographers from GradImages will take individual photographs of each of the graduates during their Commencement ceremony. During the presentation of candidates, each graduate will pose for two pictures, one as a portrait and the other receiving their scroll. Participants will receive a free photo proof and can order copies of their photograph directly from GradImages. Your proofs will be available after the ceremony. To view your proofs online, please visit www.gradimages.com. Pictures may be ordered online, by phone, or by mail. If you have any questions please contact Customer Service at 800-261-2576 or via email at giservice@gradimages.net. Follow, tweet or like to receive up to date information from GradImages.